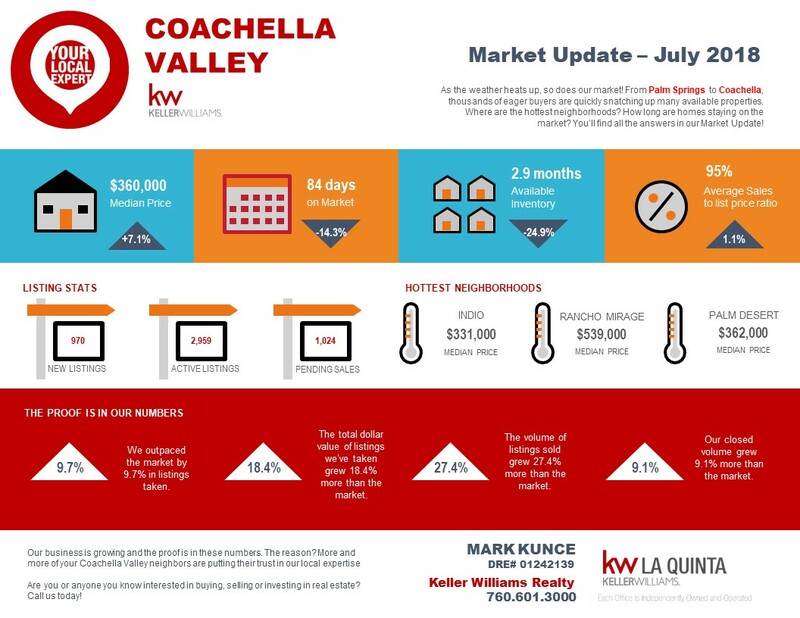 The COACHELLA VALLEY real estate market is HOT in the SUMMER! 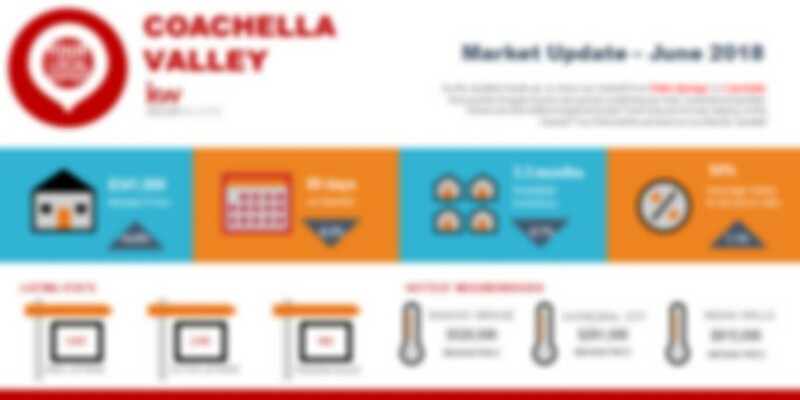 In reviewing the current market statistics for the COACHELLA VALLEY market, JULY of 2018 varied from JULY of 2017. 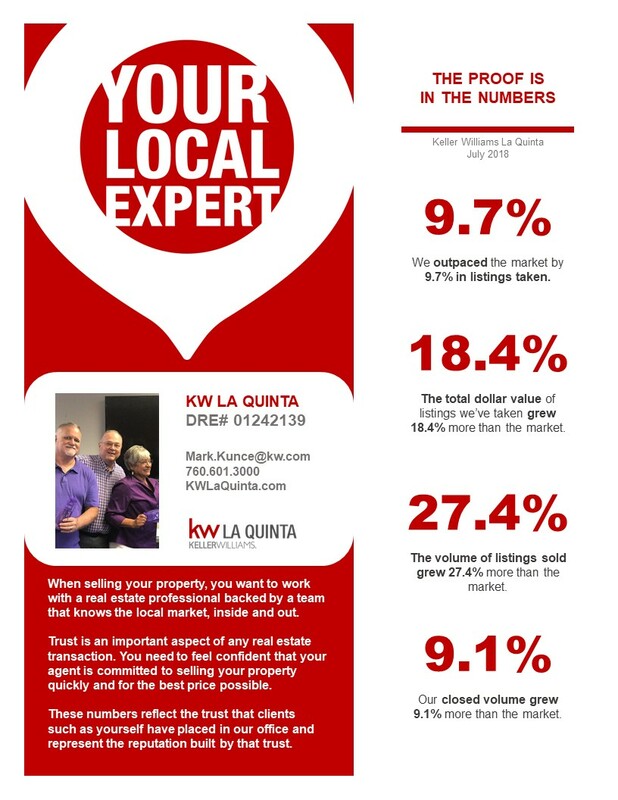 Closed Sales are up 12.8%, Pending Sales are up 17.3% and Active Listings are down 17%. The median price was up 7.1% compared to this same month last year. We’re experiencing a significant up-tick in activity compared to June which absolutely dispels the myth that the market slows down in the Summer. The demand is certainly outpacing the supply setting things up for what’s should be a very bullish 4th quarter.